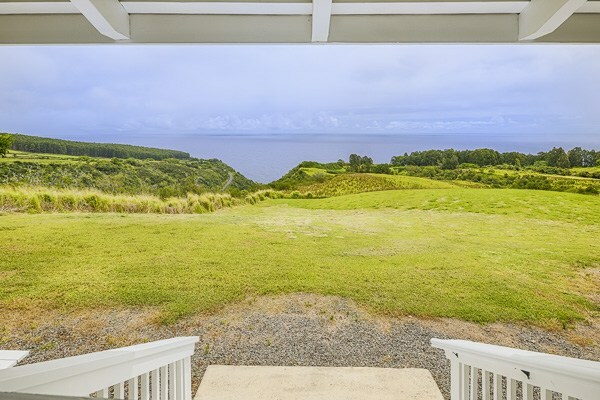 Perched atop Maulua Gulch on 30 pristine acres along the Hamakua Coast, this incredible rim top property with jaw dropping Pacific Ocean views just came on the market. 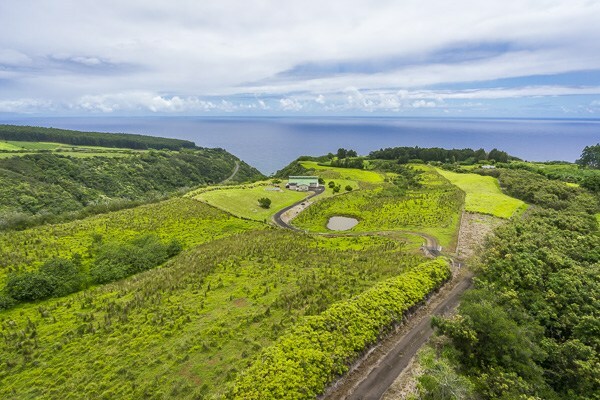 Featuring modern finishes, including stainless steel appliances and granite countertops, as well as self sustaining green energy, this private east Hawaii property is a great opportunity for people looking for a Big Island home with acreage. Encompassing 1,800 square-feet, the three bedroom, two bathroom Ninole home features bright open living spaces with vaulted wood beam ceilings, including a large kitchen with bar seating, plus a formal dining area. Granite countertops are used in both the kitchen and bathrooms. The living room is large enough to easily fit a five-foot wide screen television! Situated atop Maulua Gulch, enjoy watching the clouds dance across the sky, as the ocean below reflects different hues of blue and teal, or glimpse snow atop Mauna Kea during the winter months. Savor your morning coffee on the covered lanai soaking up the sights and sounds of the gorgeous Hamakua countryside. Soak up the sights and sounds of the gorgeous Hamakua countryside. Wake up in the large master bedroom to views of the warm Pacific Ocean in the distance. Step through sliding glass doors to the private lanai with commanding views of the ocean, gulch, and coastline. The huge onsuite master bathroom features ceramic tile, a walk-in shower, and a separate Jacuzzi hot tub large enough for two people. 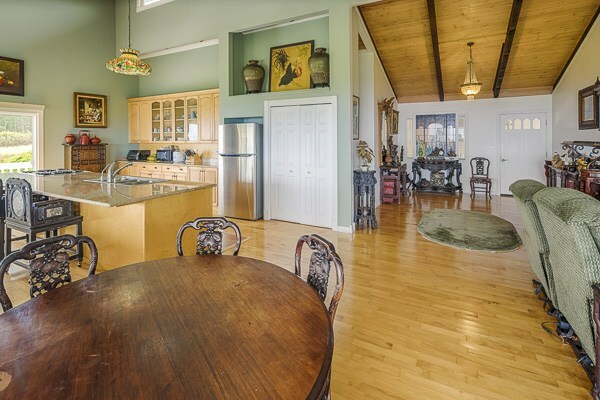 Naturally secluded, the property is gated and partially fenced (around the main house), ensuring complete privacy. What’s more, utility costs associated with mainland living are non-existent here because the property is energy self-sufficient. An onsite photovoltaic system and 15,000-gallon water catchment tank provide electricity and water, thus reducing your overall monthly expenses. If you’d like more information on this wonderful Ninole home, or other Hamakua properties for sale, give me a call today at (808) 937-7246 or email me.